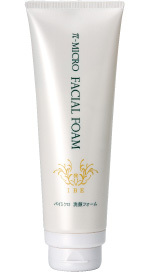 Face care : Personal care products | IBE TECHNO CO.,LTD. Fundamental thing for the skin is retaining water. Dryness enhances the aging. 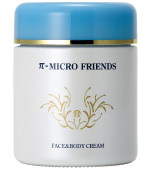 π-MICRO personal care products will moisturize the skin for the youthful luster. Light makeup remover. Cleans pores well. 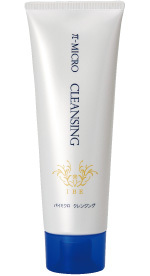 Water washable gel cleanser that removes all makeup, sweat, sebum, and grime. Plant extracts have effects of moisturizing and tenderizing the skin. Nature originated cleansing ingredients are mild to the skin. Spread appropriate amount on the face with dry hands and face. Massage gently for point makeup. Then rinse off with water or lukewarm water. 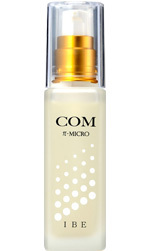 Fine creamy foam wash dirt off but will not remove total sebum which are necessary for the healthy skin. For keeping moisture and fresh finish. Plants extracts and Ingredients for tendering skin are combined. Take appropriate amount on the palm, make fine foam with water or lukewarm water, then gently wash the face with "the foam" and wash it away with cool or lukewarm water. It supplies water to the skin and balances moisture contents to keep the fresh completion. Use as a spray for the whole body. Spray all over the face, neck and body. 70ml small container is available for refilling. 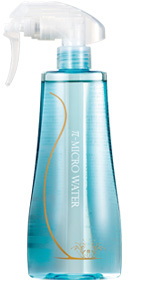 It is absorbed quick and well into the skin and keeps the water balance. Humus extract is newly compounded. For all types of the skin. After conditioning with face water/lotion, push 3-5 times on the palm and spread onto the face and neck. Patting with your palms may produce more satisfied results. For the parts around the eyes and to be taken care more, apply repeatedly with the ring fingers. Good penetration and protection of the skin. To the smoother skin. Natural moisturizing ingredients and plants extracts will keep smooth and soft skin. Usable for the whole body. Take appropriate amount and spread gently. Spread to the neck and to the clavicular area.